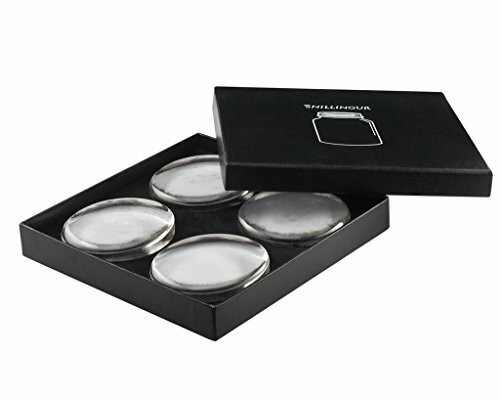 • IMPROVED FERMENTATION – These fermenting crock weights help keep vegetables below the brine to prevent mold and improve the end-to-end process. • HANDMADE GLASS – Crafted with pure soda-lime glass-the same in Kerr and Ball Mason Jars-each glass weight is non-porous, lead free and food-grade safe. • WIDE MOUTH DESIGN – At 2.75″ wide, these glass fermentation weights are crafted to specifically fit wide mouth mason jars, the standard for fermenting. 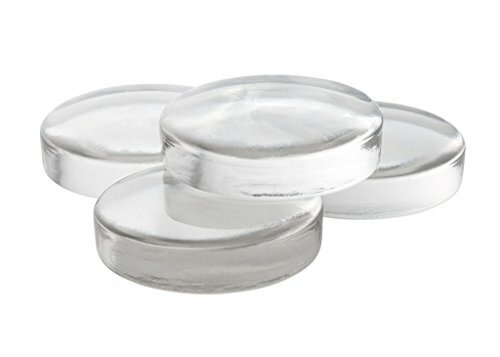 Improve your lacto fermentation process by keeping vegetables submerged with glass fermentation weights from Snillingur. 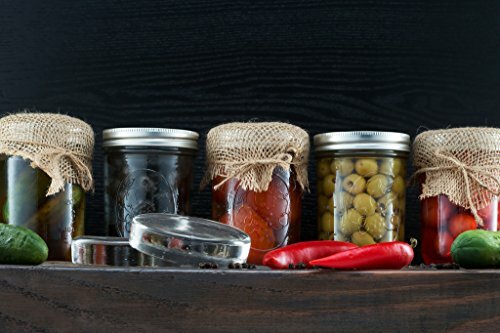 When you’re a canner or enjoy making unique foods at home, you know firsthand that keeping your vegetables below the brine is essential during the fermentation process. That’s why it’s important to use [Brand Name] Glass Fermentation Weights that fits your wide mouth mason jars and eliminate oxygen exposure so you can enjoy fresher, better tasting foods. Designed especially for Ball, Kerr and Bernardin Mason Jars, our glass fermenting weights also work with traditional ceramic crocks and Fido style jars in a pinch. 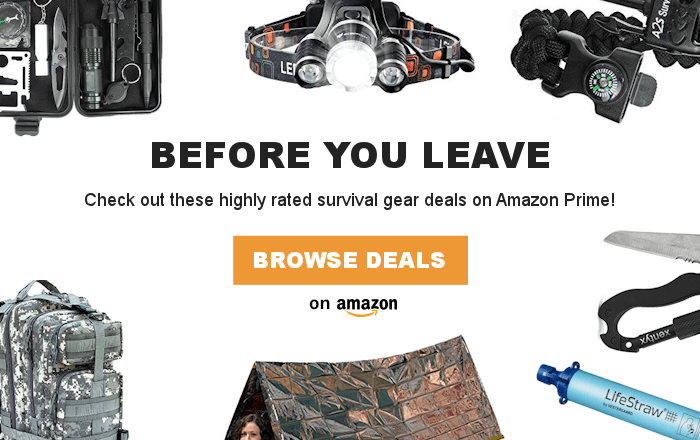 And because they offer a wide 2.75″ diameter weight 6 oz. of weigh, they’re sure to keep your vegetables submerged with no problems. Handmade from pure soda-lime, our non-iridized glass won’t impact the fermentation process or the flavor of your food. In fact, they’re tested to ensure that you only receive the highest-quality fermentation weights possible. When you’re ready to improve your at-home fermenting process, choose Snillingur Glass Fermentation Weights and ensure your process is perfect. Start creating your own small batches of fermented sauerkraut or other favorite foods by clicking ‘Add to Cart’ above. • SMALL BATCH SETS – Each order comes with four total glass fermenting weights to create consistently fresher batches of food for families. • EASY TO CLEAN – Snillingur glass weights can be washed by hand or placed in the top rack of the dishwasher to be reused again and again.